I'm trying to attempt a dairy free lifestyle again. Now whenever I go shopping I'm always looking for tasty new dairy free finds to spice up my food. While shopping this week I came across two items that happen to be both dairy free and vegan. I'm not a vegan but I'm on abit of a vegetable craze at the moment and have gone off certain meats. 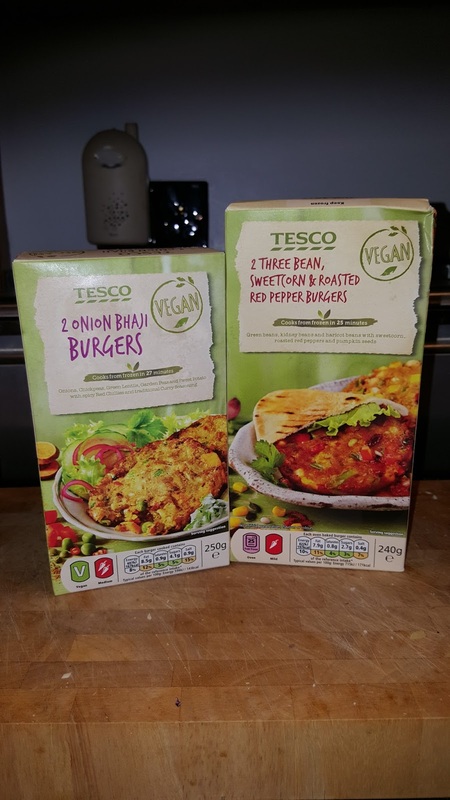 Onion Bhaji Burgers - I love a good onion Bhaji so these intrigued me. The ingredients are chickpeas, green lentils, onions, garden peas and sweet potato, with spicy red chillis and traditional curry seasoning. The ingredients in these being green beans, kidney beans, haricot beans with Sweetcorn, Roasted Red peppers and pumpkin seeds. Both of these burgers sound really tasty and will add abit of flavour to any meal. I can't wait to give these a try and will keep you updated with my thoughts!